Toreto Bloom, a stylish Smartwatch with good battery backup & heartbeat monitor without burning a hole in a pocket. Wearable devices represented by smartwatches are undoubtedly the biggest hot spot now and also in last year Google I/O conference. There are dozens of high-end smartwatches that are based on Google’s Android Wear platform. However, these watches are sometimes a way higher in price especially those are with heart rate monitor. It makes people refrain to taste the advancement of technology. But not any more, there are so many brands emerging around the world, ushering the smartwatches market to a new era where advance smartwatch technology features are available in budget amount. 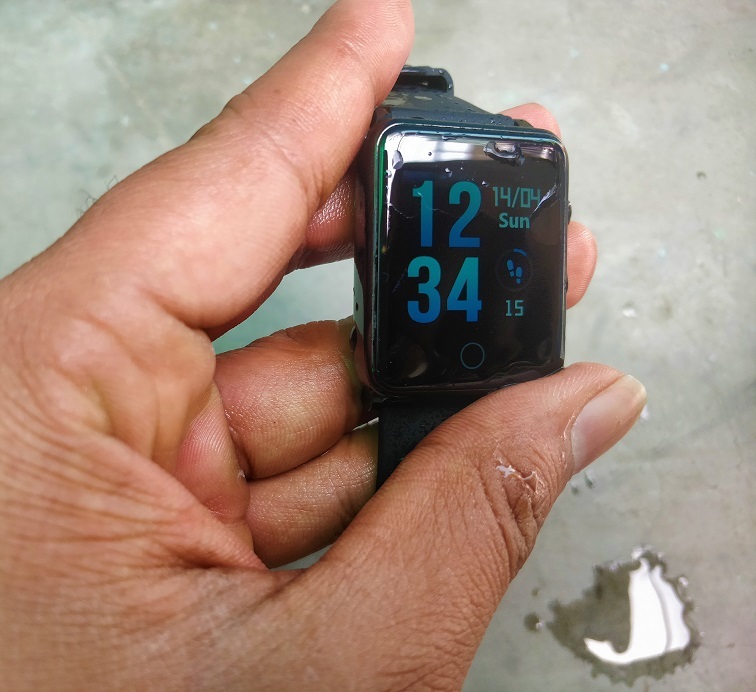 Toreto can be considered one of them as recently they have launched a smartwatch in India which is rather budget-friendly and attributed with smart and durable attributes. 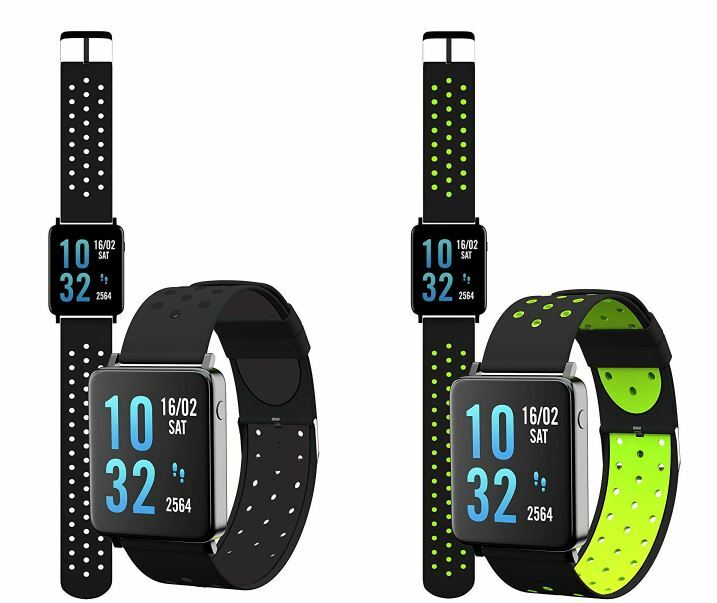 It named Toreto Bloom smartwatch (TOR-81) available at the price of ₹2599 or $ 37.58 on Amazon.in. After using it for more than 3 weeks, we finally thought its time to write Toreto Bloom review to answer your questions such as how it works; design & build quality, battery back, how to connect it and how does it perform? So first let’s start with the unboxing of the device. The slim box of the Bloom smart watch can tell us immaculately what are we going to get inside it. It has a blue colour with an image of the watch at the front side along with an embossed logo and model number TOR-81. At the back side of the box all the specifications, features and multiple QR codes have been given. 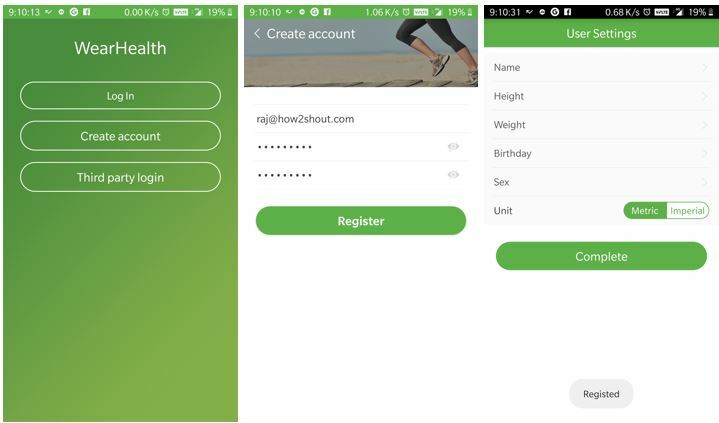 The user can scan the QR code directly from a smartphone to download a compatible app for the Bloom, it saves us from the hassle of searching the same over Play store or iOS app store. Toreto bloom has integrated with a display of 1.3 inches with a curved Gorilla Glass 5 for scratch protection which is quite useful. 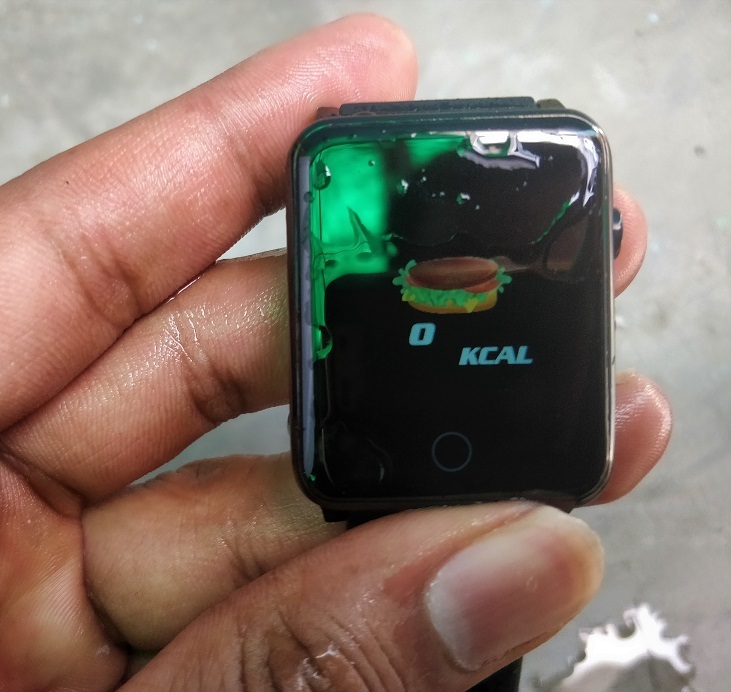 Because many time walking or playing sports it very easy to accidentally brush the watch against some wall or other objects. 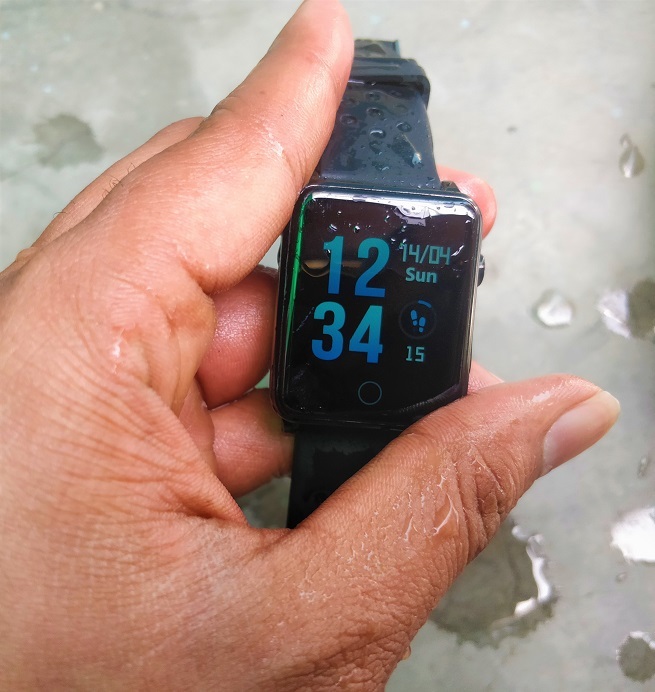 One thing which I noticed that the screen has significant bezels all around especially at the bottom side; since it holds the capacitive touch sensitive areas to navigate the watch. It doesn’t appear that much in the promotional videos or images of Bloom public by the Toreto but acceptable, when I look towards its price. The Toreto Bloom comes with two colour rubber straps one is absolutely black and the other one has two shades of colour black and creamy green. This watch is very light on the wrist, and the rubber strap is also good in texture. 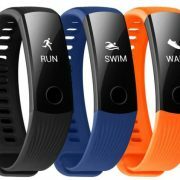 However, the strap of rubber material has poor ventilation and sweat absorption, and the wrist is easy to sweat when the weather is hot. 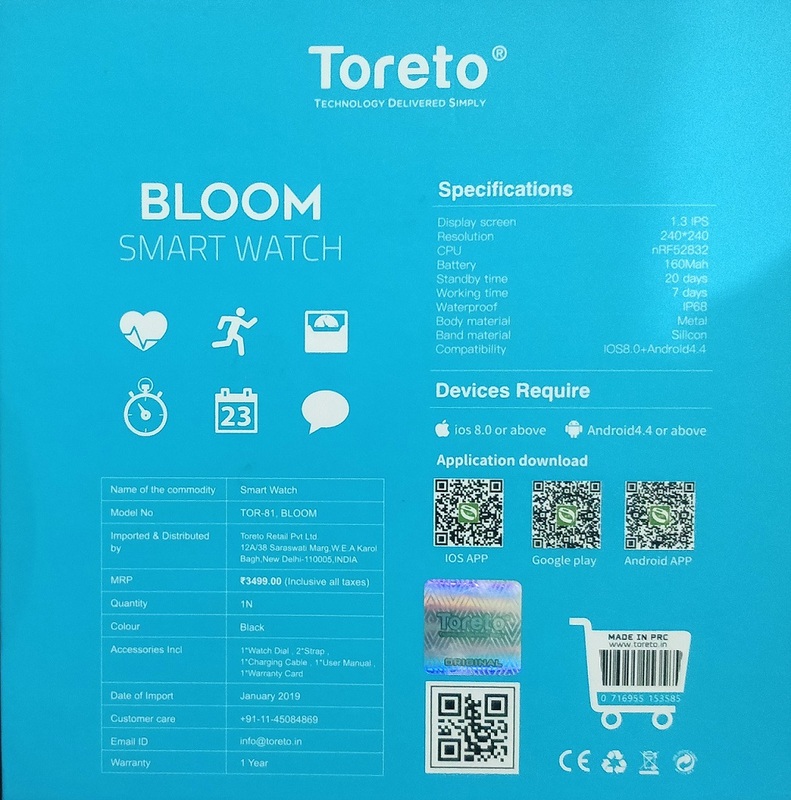 The Toreto bloom smart watch strap connector has the standard pin fasten arrangments which means the user can use some other strap purchased from online having a similar kind of mechanism. For example, straps with leather, plastic, and canvas constitution. No matter what strap you are going for, the dial module will remain in complete black. 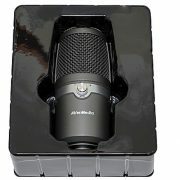 Yes, the shiny metal utter black module has curved edges free from stains looks very cool. 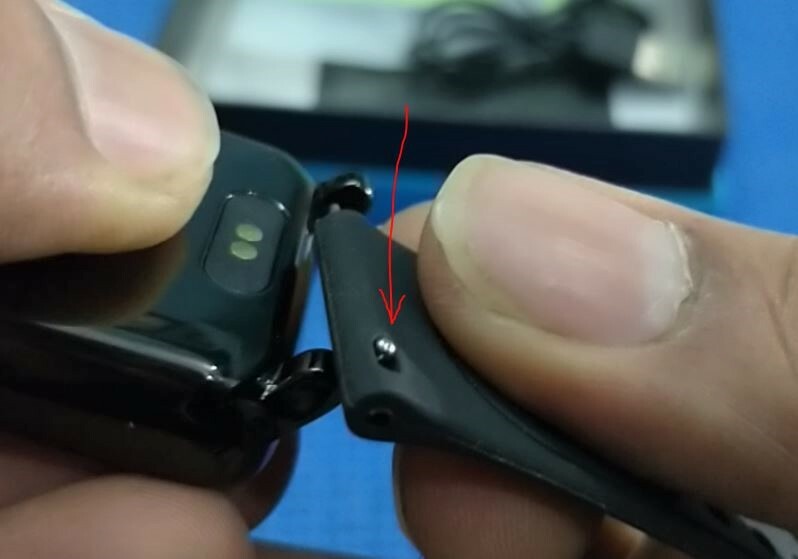 On the right side, it has a crown which is not more than just push button to awake the watch’s screen and a long press to it will shut down the Bloom. Personally, I used the black straps to give a complete blackish version and really while on the wrist it looks not less than any premium watch at all. 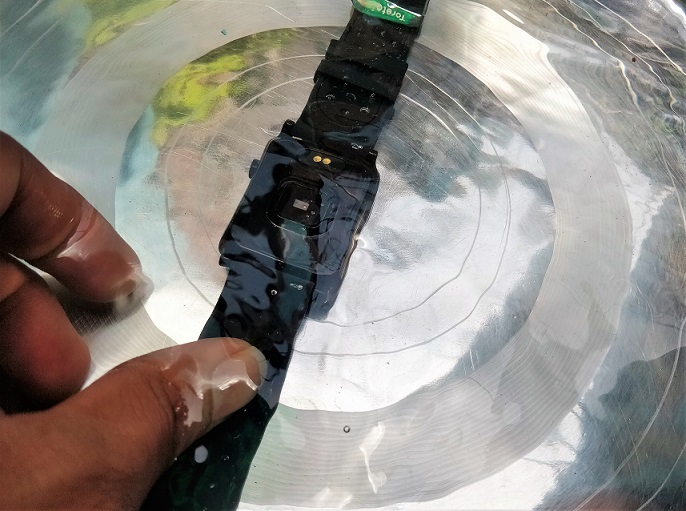 When we turned around Bloom to examine what is at the back side of the dial, we found the charging points and heart rate monitoring sensor that can also monitor the blood pressure. 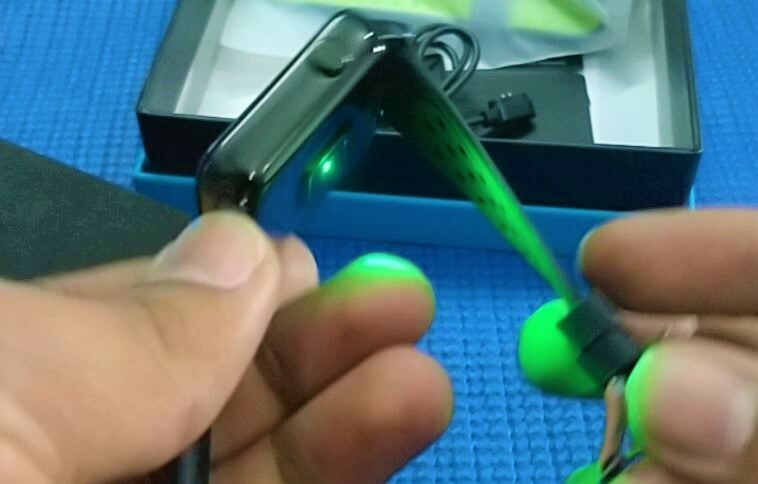 It emits green colour breathing light while measuring heart rate and blood pressure. The wonderful feature of Bloom is of being waterproof. 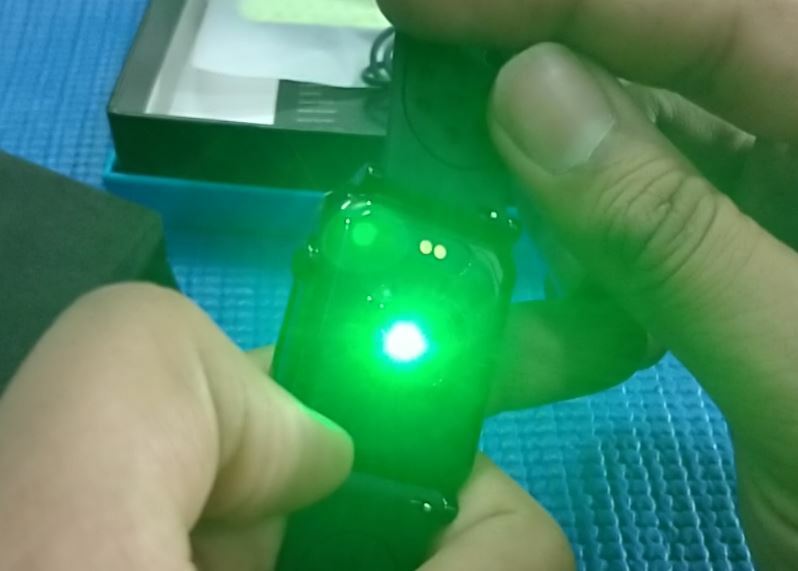 It has the certification of IP68 that can take care of watch up to 1.5 meters for half an hour. That means no more running from rain, no need a reminder to your self to put off the watch before going for a shower, washing hands refreshing your self. However, it is recommended don’t wear it while bathing because of soap, it may cause damage to the metal. 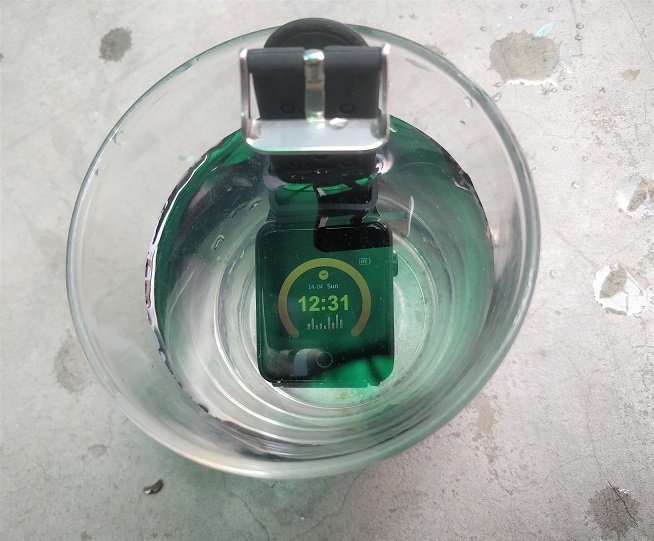 We have done some water test to know: Does water affects the Bloom smartwatch or not? The answer is Not a at all, Toreto Bloom had effectively beared it without any water damage. How to install Wearhealth App to connect Toreto Bloom Smartwatch? 1. Download any QR scanner app on your smartphone (Android or iOS). 2. Go to the back side of the Toreto bloom box. 3. Scan the QR code respective to your smartphone platform. 4. Click the link which automatically opens the App store to download the app that is compatible with Torreto Bloom Smartwatch i.e Wearhealth. Correspondingly, you can use these links directly to download this app: For Android and iPhone (iOS). 5. After installing the App open it and Create an account. 6. Turn on the Bluetooth of your smartphone. 7. 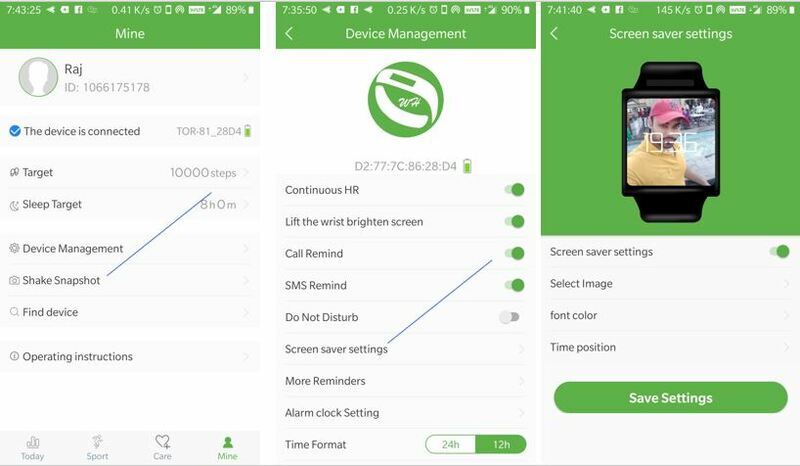 Tap on Mine option given on the lower right side-> Again tap on Connect a device->Tor-81_2804/visible Toreto wearable device and the smartwatch will automatically get connected with the WearHealth App. 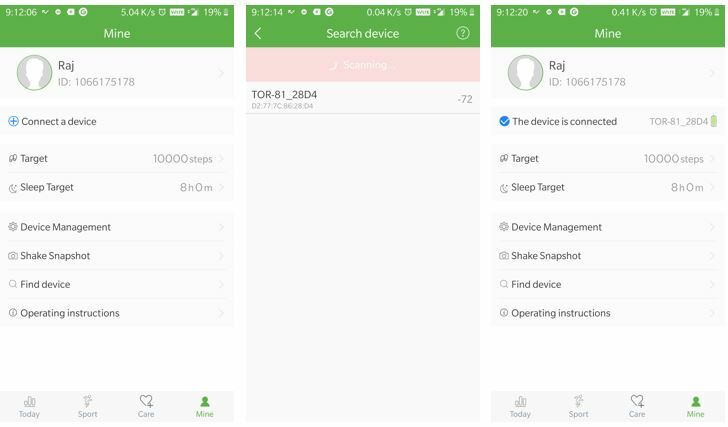 Inside the Device Management section of the WearHealth App, we will find all management option to enable different options for Bloom. Lift the Wrist brighten screen: If you want that the watch automatically lit ups when we lift our hand then enable this option. To project call and SMS notifications directly on the watch enable the Call Remind and SMS remind options. 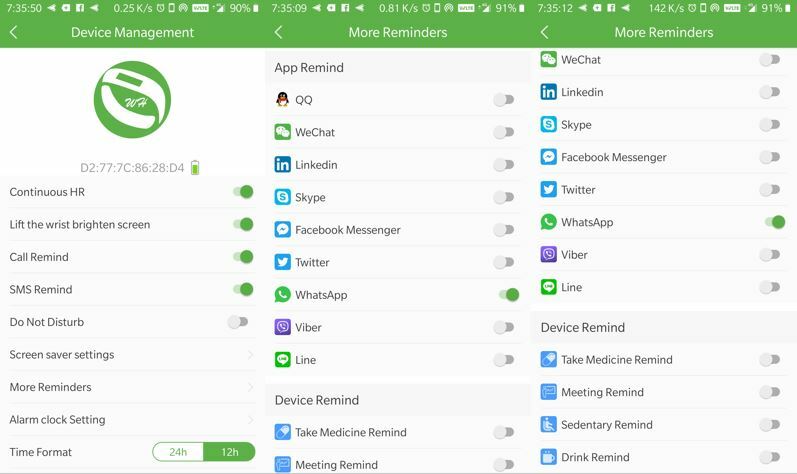 For social and other reminders such as Take Medicine, Metting, Sedentary, and Drink Reminders go to More reminders option and enable one by one those you need. 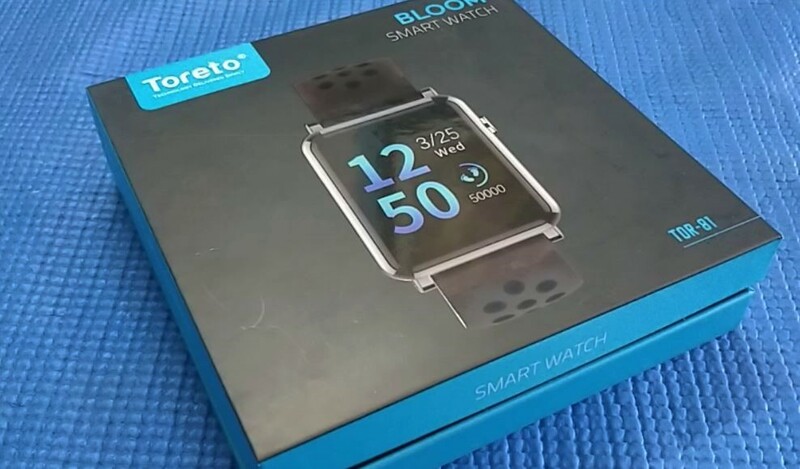 Furthermore, we can directly capture the photos by shaking our wrist when Toreto Bloom smart watch strapped on that. However, it will not work with the default camera app of the smartphone. To use this feature, we have to go to the WearHealth app and need to select the Shake Snapshot option which further opens the camera and then simply shake the watch. It is quite useful for capturing group selfies or if the smartphone is on tripod /selfie stick. Besides this, the other thing is the screensaver. 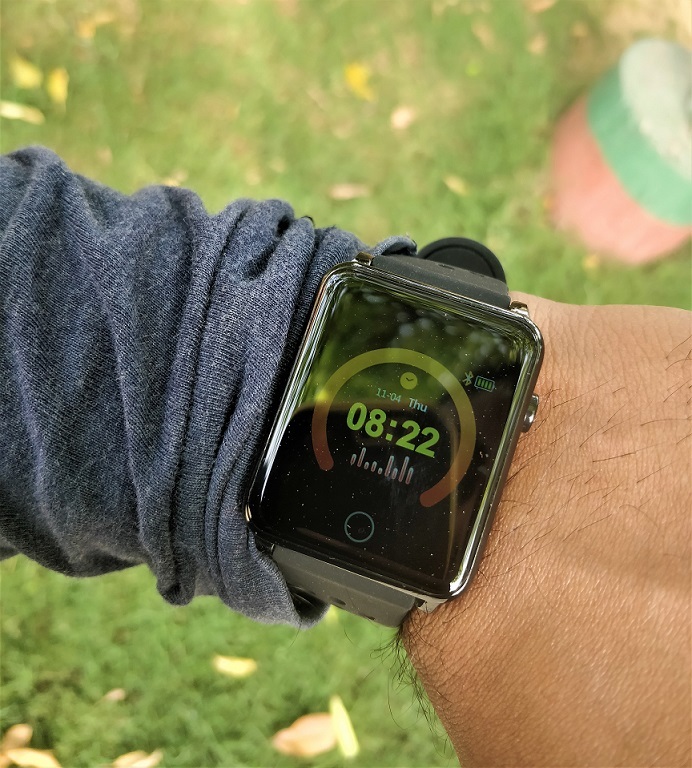 Yes, it possible to set any picture from the gallery as the screen saver on the watch along with the capabilities of adjusting time font colour and position, so that time can be easily visible over the screensaver. Coming to the main interface of the app which is simple. The main screen i.e denoted with Today shows all measurements of the day such as steps we walked so far, measurements of the heart rate, blood pressure and sleep hours. Along with the Today tab, you will find another option which is Sport. It uses GPS navigation and maps to tell how much time we should take to reach to set destination. Useful in physical activities like running. Overall, the function of the app is absolutely fine and worked as claimed by the company. No issues with it. This is the main part of the review, every reader perhaps waiting to know actually whether the device is worth to buy or not. So, let’s start with battery backup. On the in-built-battery of 160 mAh, we were amazed, at such low price, the backup of the Toreto Bloom was really outstanding. It gave us around 5 days of continuous usage back up at moderate usage. 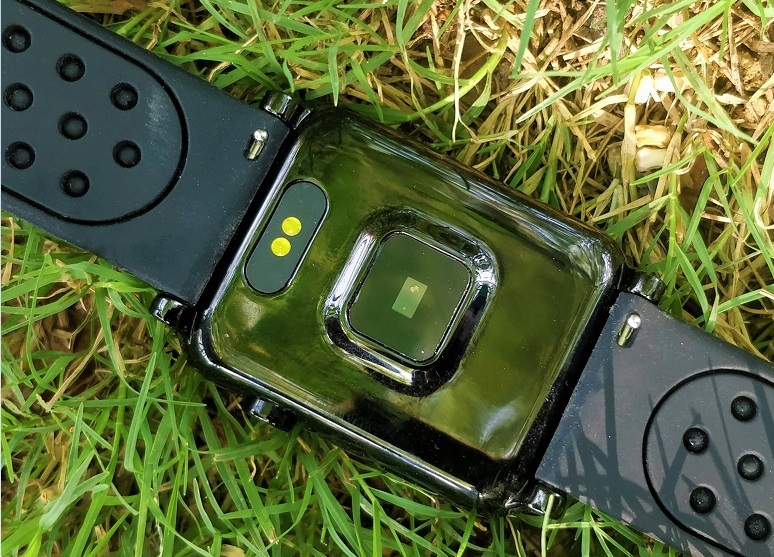 However, it didn’t exactly as the company claim, however, it also depends upon the call flow and how many times in a day we use the smartwatch to measure our heartbeats and blood pressure. If the frequency is not much high, it can easily stand for 7 days. So, the battery backup is up to the mark. The display is enough bright to see the time in outdoor light plus colour production is vivid too. So, no problem with the display at all. 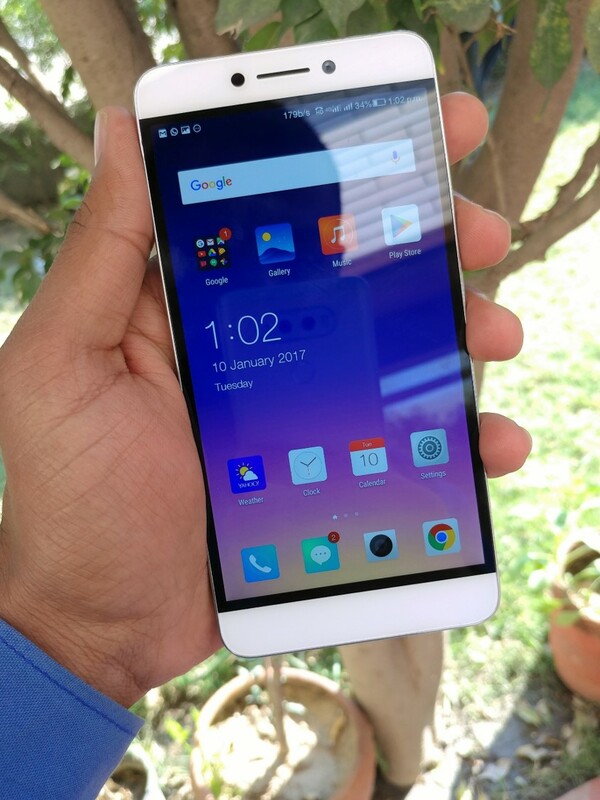 Yes, as I said to provide capacitive navigation below the screen gives a substantial amount of bezels. Needless to say, the screen is not touchable and the navigation has to be performed somehow. So, swiping right or left over it will allow navigating among different options while tapping and holding the finger over it will change the watch face. 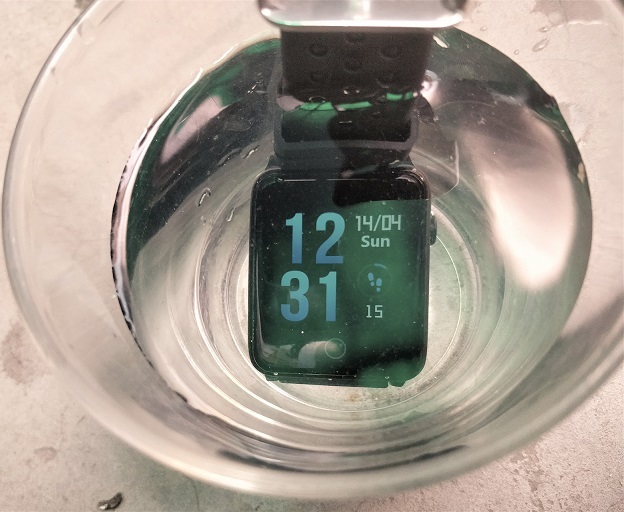 As we stumbled over the watch face, let’s talk about a little bit too. 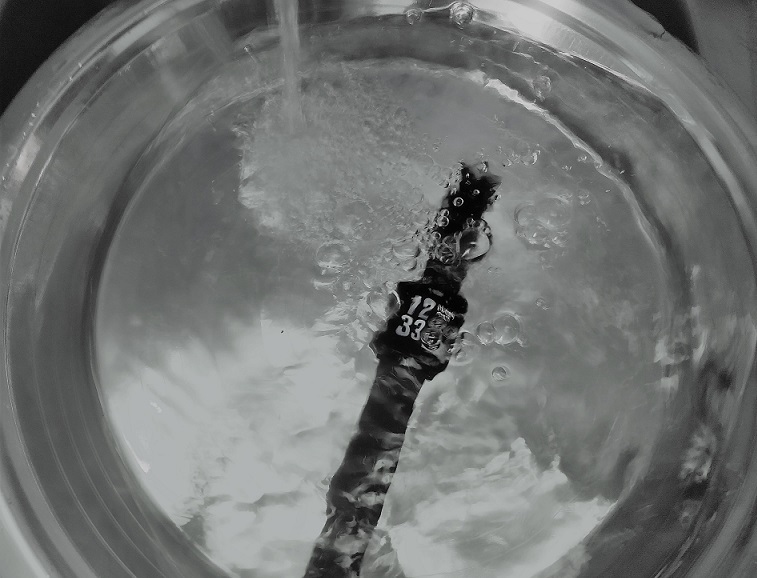 The Bloom has only three watch faces which not as the company’s dictum “plethora of watch faces”. Still, enough if we go price wise since we can set any pictures as a screensaver. But, it would awesome if we can set any picture as the watch face. The watch faces are one Analog and two digital. 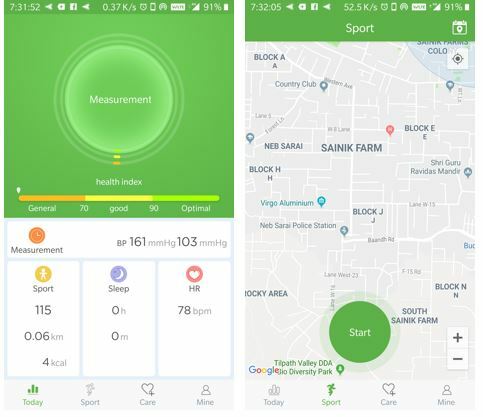 The accuracy of Blood pressure and Heart monitor: Measuring both HR and BP are pretty simple, use the navigation panel given just below the screen and swipe to select HR or BP option. After that, it will start measuring. 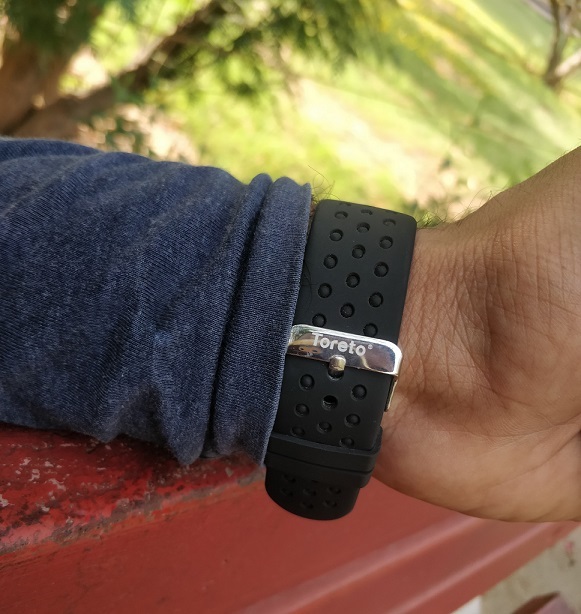 Although the availability of both HR and BP including pedometer makes it a prominent piece to buy, the accuracy is not up to the mark as most of the smart bands and smartwatches. Most of the time, the result would oscillate between 10+ or -10, however, you can get an almost accurate glimpse of your HR and BP but don’t consider it for some medical purposes or to treat some artery-related problems; for that one should see the doctor for correct measurements. The Toreto bloom smartwatch does not monitor the sleep as it has to be, also it didn’t matter to me because sleeping with smartwatches and smart bracelets is not so comfortable. Moreover, over the watch its take awhile to know how to use exactly the sleep function? That’s another problem. Notification wise such as call, social media and message, I didn’t find any problem during my usage. Things which I wished to be on Toreto Bloom smartwatch: the option to set the watch screen always awake, options to take or reject calls including making them silent; the use of software and other option should be easier because for newbies it really cumbersome to set up or know how to use different options; a detailed manual guide for each function should be given; the Toreto needs to work on software because we have to press very long to switch between watch faces. 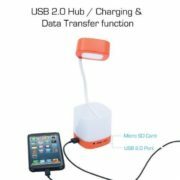 Excellent review, covers all the details and dept for this product. I’m gonna order it in the next 10min, thanks to your invaluable seal on it.